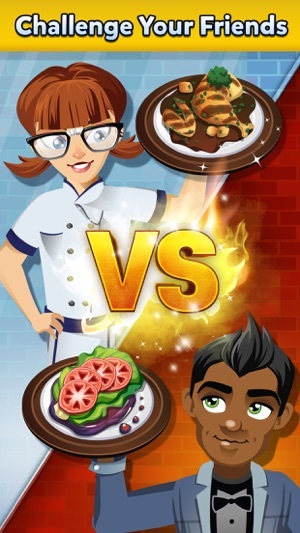 Use strategy along with your culinary skills and battle other players or friends online to reach the top of the leaderboards! 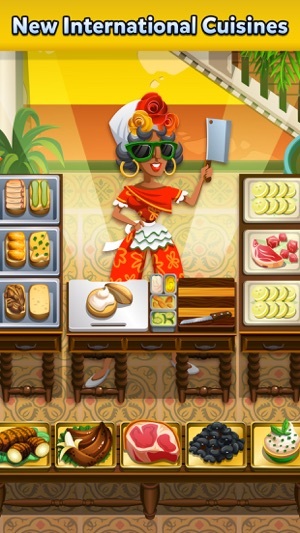 Create your chef’s own personal look with the all new avatar system, a first for any DASH game! Got what it takes to compete with the best? Face Gordon Ramsay and others in new Boss Battles! EARN AND TRADE ITEMS FOR BETTER RECIPES! Upgrade your recipes for even better rewards by collecting rare and unique items throughout the game! 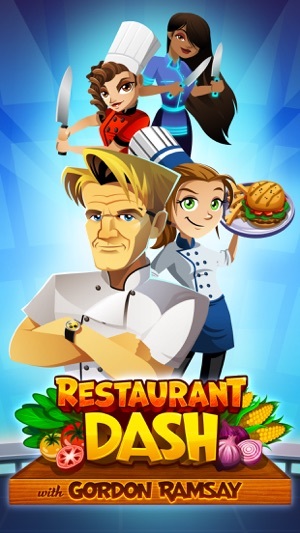 Gordon Ramsay DASH including Restaurant DASH with Gordon Ramsay © 2016 - 2017 Glu Mobile Inc. All rights reserved. 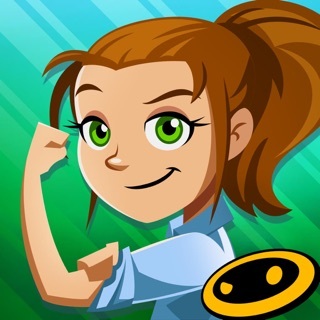 Restaurant DASH, DASH, Gordon Dash, Gordon Ramsay Dash, Glu, the “G-Man” Logo, Flo, and her appearance are the trademarks or registered trademarks of Glu Mobile Inc. in the United States and/or in other jurisdictions. Likeness, voice and images of Gordon Ramsay provided under license by Humble Pie Media Limited for Studio Ramsay. All rights reserved. From the moment he called our chef skills “absolutely stunning,” we were all-in. Ramsay’s presence adds just the right spice to Cooking Dash–style gameplay, whether he’s showing you new recipes or helping you serve impatient customers. With his encouragement, we’re happily fixing food, earning tips, and working our way up to more challenging restaurants. 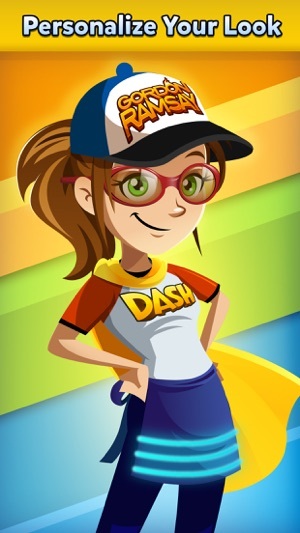 I like the dash style games, and this one is a bunch of fun. Unfortunately it has a couple major issues. First, I'm on a fixed income so I can't afford to purchase gold. Well, almost all of the upgrades require gold. I have no problem watching commercials to earn gold, however, I will click on the free gold button and request a video option and it tells me there are no videos available. Well, as soon as I close that screen, a video pops up, yet there's no videos for free gold. If there's no videos for free gold, then don't make us (consumers) watch a video 2 seconds later! Second, it can be very difficult to earn coins, so I have to keep replaying levels in order to have enough coins to play. The third and final thing about this game is when you go to your social hub and try to connect to a group goal, I get an error message saying to try the network again, and if you do manage to join a group goal, more than half the time it won't register your progress within the group goal, so you end up joining a goal and then you turn out not being able to help your group and essentially losing the group goal for your friends. So, as a stand alone game, it's a really good game. But as an online game, I don't recommend it at all!!! This game is my all time favorite! 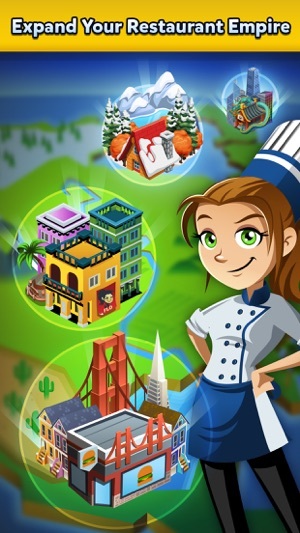 When I was younger I would play the dinner dash games all the time and then I randomly stumbled on to this game and love it. You know those games that take you so far and then the only way to move forward is spending actually money? NOT this game. Seriously, you have so many opportunities to earn gold; between the daily goals with 3 a day , to serving the inspector which gave me 20 and to using your duel tickets each week to get at least 15. Not to mention they have it where the “guests” tip you in gold. This is the longest I have ever stuck with a game so please give it a chance. I have used some of my own money once in a while but I promise you, you can play it without. UPDATED REVIEW: please fix the download aspect of the game. I don’t want to have to wait 30 min to play the game. The duels, and sites take forever to load no matter the WiFi or your data. I starting to lose Interest in the game and I’ve put a lot of hours into it . :(.